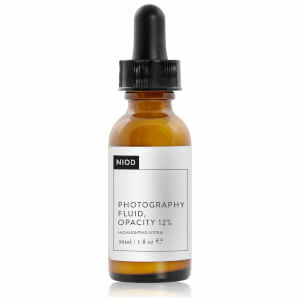 Enhance lips with the Lip Bio-Lipid Concentrate from NIOD (Non-Invasive Options in Dermal Science). The high performance treatment combines peptide technology and bio-technology to improve the texture of lips and prevent signs of ageing, including loss of elasticity and smoothness. Specially formulated with Inca Inchi Oil, an ingredient consisting of more than 80% omega 3 and 6 fatty acids to effectively form a barrier, eliminating water loss for a plumper appearance. 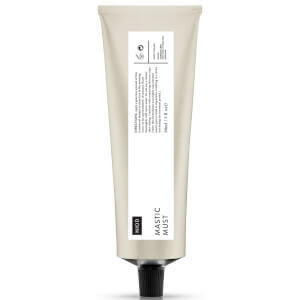 Very low molecular weight Hyaluronic Acid is cross-linked with Japanese Konjac to penetrate the lips and increase water retention, visibly increasing volume for luscious lips. The lightweight serum boosts blood circulation to give lips a darker, more pronounced colour, whilst stimulating collagen production for an 8.5% increase in lip density and 14.9% improvement in firmness. E.N. Apply the lipid-based serum with your fingertips to both upper and lower lips twice daily for 30 days initially. Reduce application to once per day thereafter. Avoid the eyes and the surrounding skin. Wash hands after application. C13-15 Alkane, Caprylic/Capric Triglyceride, Pentaerythrityl tetraisostearate, Silica silylate, Hydrogenated Polyisobutene, Pentaclethra macroloba seed oil, Oleic/Linoleic/Linolenic Polyglycerides, Cetearyl Ethylhexanoate, Methyl Nicotinate, Ethylhexyl Palmitate, Dimethyl Isosorbide, Pongamia pinnata, Palmitoyl Hexapeptide-12, Palmitoyl Tripeptide-1, Palmitoyl Tripeptide-38, Sodium Hyaluronate, Glucomannan, Commiphora mukul resin extract, Sesamum Indicum (Sesame) Seed Extract, Portulaca Pilosa Extract, Anemarrhena Asphodeloides Root Extract, Hippophae Rhamnoides Oil, Hydroxymethoxyphenyl Propylmethylmethoxybenzofuran, Plukenetia Volubilis Seed Oil, Bisabolane, Trihydroxystearin, Sorbitan Isostearate, Propylene Carbonate, Stearalkonium Hectorite, Sucrose Cocoate, Tocopherol, Aqua (Water). 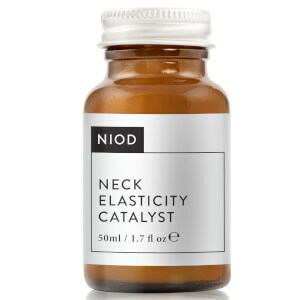 Save 20% off NIOD. Discount already applied to the RRP - no code required. For a limited time only.